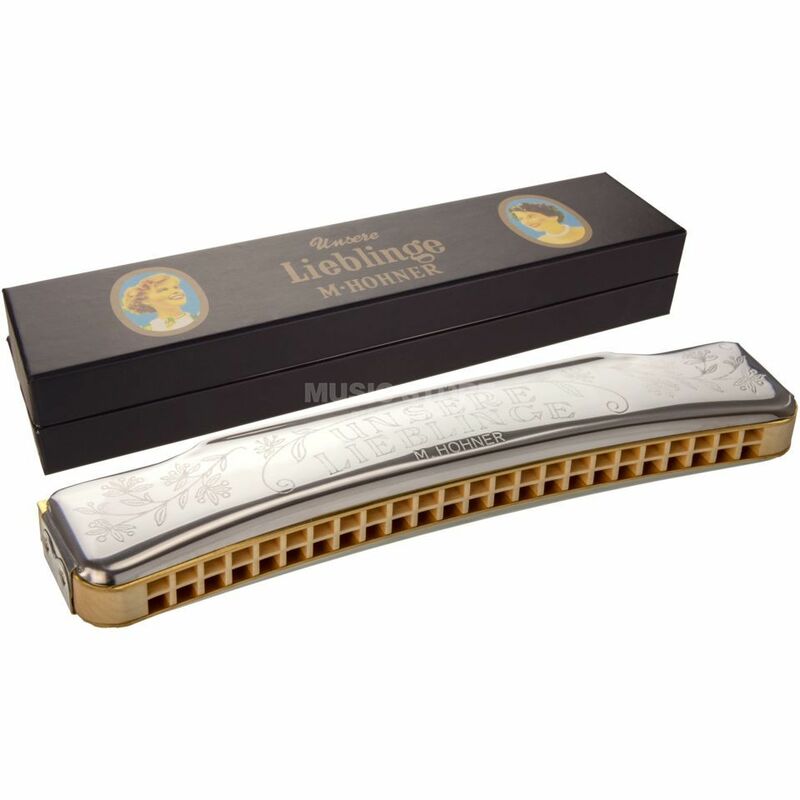 The Hohner Unsere Lieblingle 48 Octave Harmonica is an octave harmonica, featuring a 2-voice Wiener octave tuning, in C-tuning, with 48 brass reeds, a maple mouthpiece, and a black maple comb. The traditional Unsere Lieblinge series has been popular with young and old for generations. The curved form fits perfectly to the lips and is exceptionally comfortable to play. Maple wood combs and high-quality reed plate, octave tuned to just intonation, guarantee a warm, full sound and filigree embossing on the elegantly shaped stainless steel covers ensures that these models look really great. This harmonica features 48 brass reeds with 0.9mm brass reed plates, a 2-voice Wiener octave tuning, and a full powerful sound. Sound is great,, ratio price - quality very good. And as always, logistic is a strong point of musicstore.de.